Steven (Chicagoland, United States) on 1 October 2015 in Landscape & Rural and Portfolio. 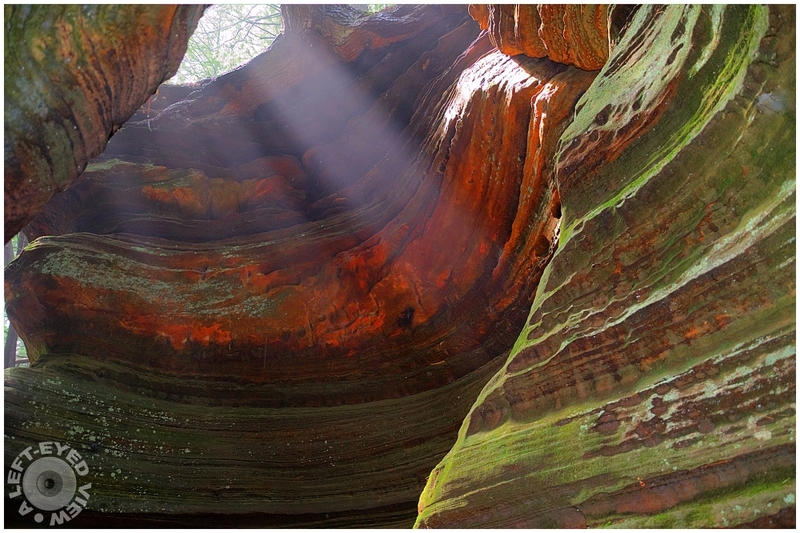 Highlighted by beauty and shrouded in mystery, Witches Gulch captures the essence of the Dells' abundant scenic treasures. A leisurely stroll along the boardwalk may prompt thoughts of how this narrow canyon must have formed over time, with its layers and layers of sandstone. Witches Gulch is a fantastic display of nature's fury forming in just a few weeks or perhaps even days. Here a few crepuscular rays shine through the gulch near the entrance and took everyone by surprise by this heavenly sight. The foggy day provided the perfect mix for the sun shining through. Photo captured August 7, 2015. EXCELLENT. I like the small view of trees. Superb catch of the colors here . .
A magical place and fantastic capture of the light - bravo! Awesome... nature knows how to impress. Your photo has really captured the beauty of it all! Amazing! Superb photo! You captured all of the magic and nuance in these details. Great capture of the amazing place in the beautiful light. A great picture of light as it affects the walls of this place. For me it has a definite mood. Excellent shot. Fantastic image! The shaft of light gets a wonderful focal point. This is just stunning! The colors and layers are just spectacular! A beautiful image! Wow. How incredible this is. Well done. WONDERFUL shot. This approaches the beauty of some of the Antelope Canyon shots I have seen. Une aubaine ce rayon de soleil ! Magnifique ! Fantastique vue et quel rayonnement et ces ronds de roche superbe. A terrific shot of Mother Nature's art. A gorgeous capture. The light and colors are outstanding. Beautiful close-up, i like the colors of the rocks. Love those layers - and colors. La lumière est belle. Les couleurs sont surprenante et harmonieuses. La composition est très réussie. Une très belle photographie.